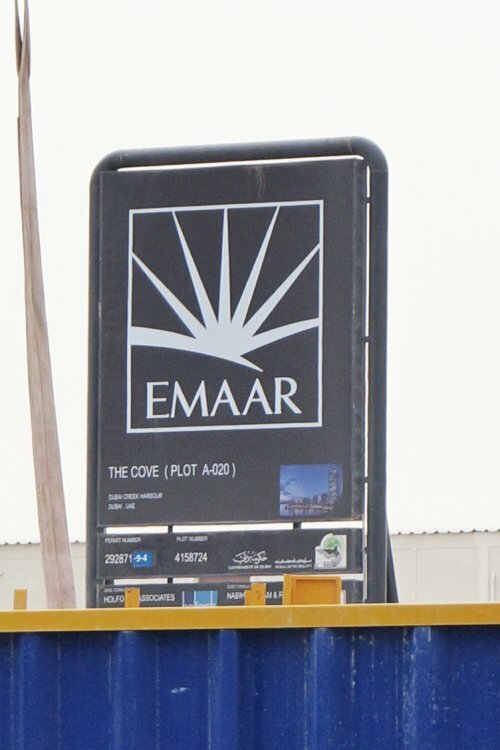 The Cove is a collection of six-storey residential buildings in Dubai Creek Harbour being developed by Emaar. 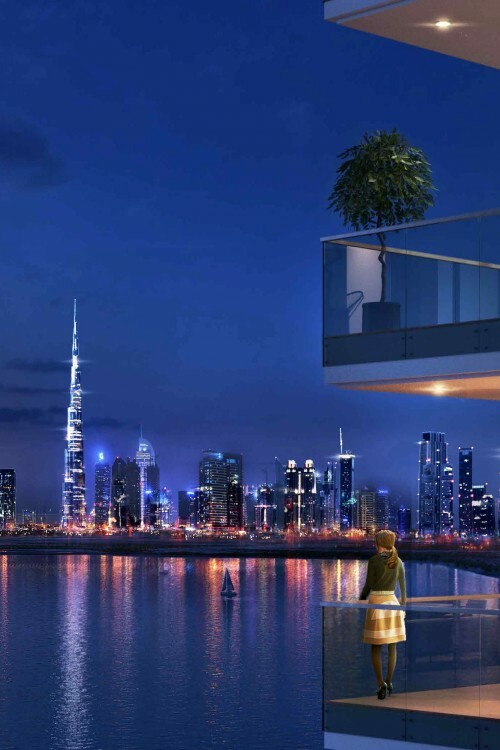 The waterfront buildings are located at the southern tip of Dubai Creek Harbour’s Island District and will have distant views of Burj Khalifa across the Creek and The Tower, destined to be even taller, over their shoulder in the Harbour development. 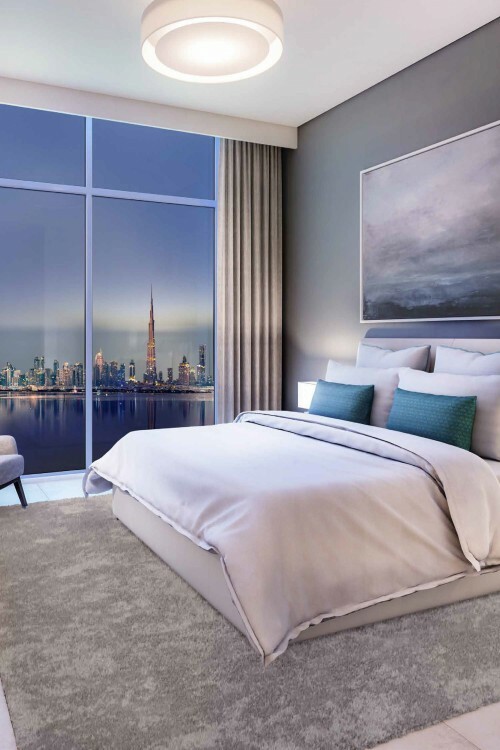 The buildings will each contain 48 high specification one-, two- and three-bedroom apartments, with floor areas ranging from 773 to 2,017 square feet. 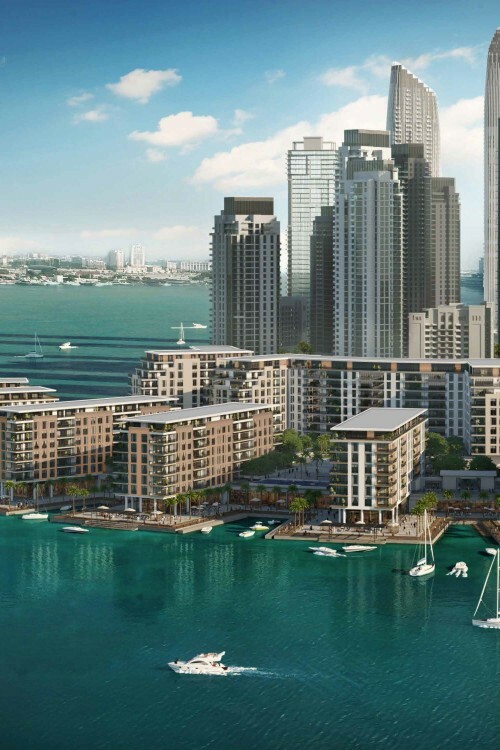 The apartment interiors will each be built using stone, marble, light timber veneers and glass. 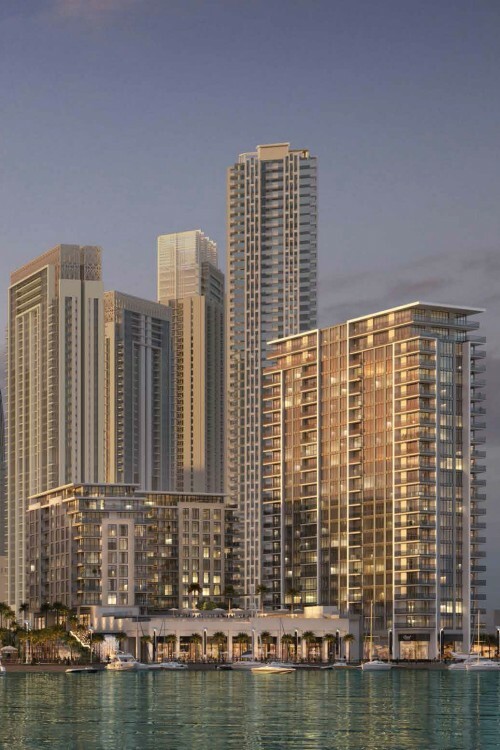 Apartments will have terraces or balconies ranging from 72 to 738 square feet. Promised facilities include fully-equipped modern gyms, children’s play areas and multi-purpose family rooms... ‘and more’. 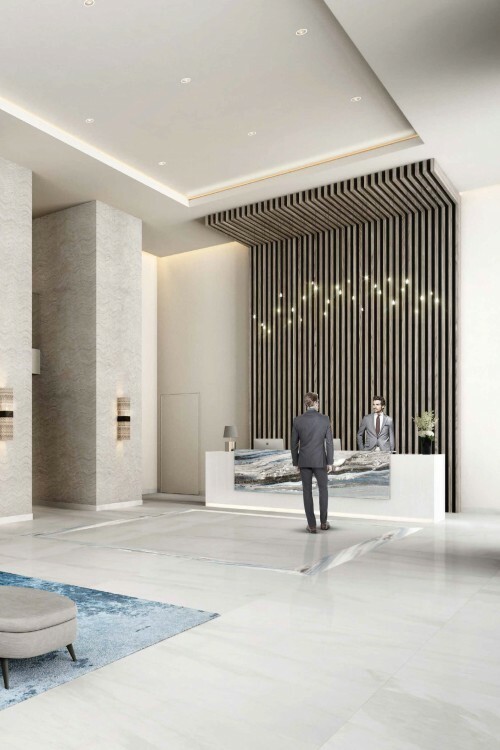 Not far from the Ras Al Khor Wildlife Sanctuary, The Cove will provide residents and visitors with stylish boutiques, quaint cafés and ‘delightful dining concepts’, as well as the Marina Yacht Club and ‘lushly landscaped pathways, parks and promenades’. 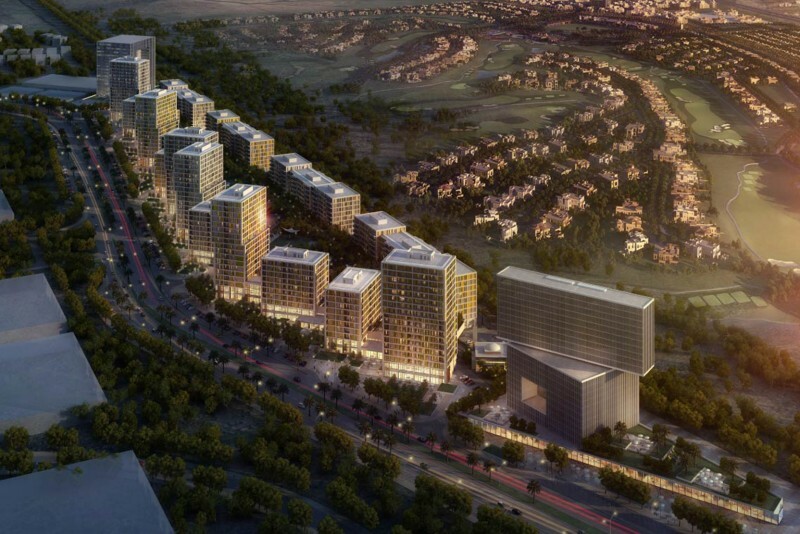 The project was launched on 13 November 2016 and is scheduled to be completed in March 2020. One-click links to properties currently on the market in The Cove. Q4 2016 Status: detailed design in progress; enabling works tendering to contractor in progress. Q3 2018 Status: 20.00% Completion. Concreting is in progress at the raft and up to the ground level.